A participatory dance festival is making its way down under in 2018 and Castlemaine is on its list. Big Dance was started over a decade ago in London as a celebration of dance no matter your skill level. Because we can’t all be as elegant as Misty Copeland, but we can all be as shameless as Napoleon Dynamite. 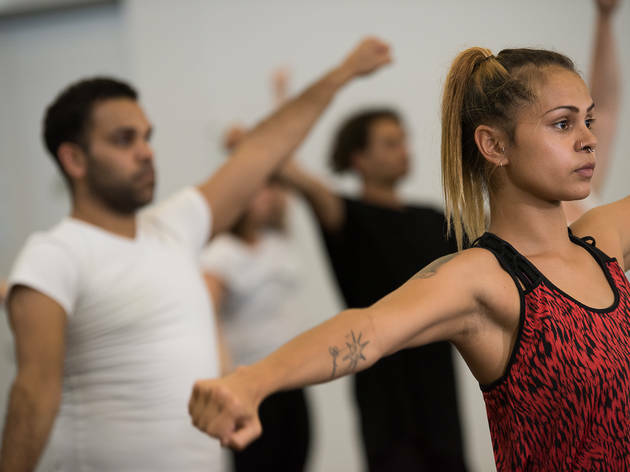 Australia will be taking a lead role in its inaugural Big Dance year with Ausdance Victoria and NSW presenting the festival. Here's how it works: a single large-scale piece of choreography is created and then made available to the masses via community workshops and online tutorials. This dance is then performed at specified Big Dance events. No prior dance experience is necessary to participate. Castlemaine’s Big Dance performance will take place on Sunday April 29 and you can grab a bite afterwards from the on-site food trucks.